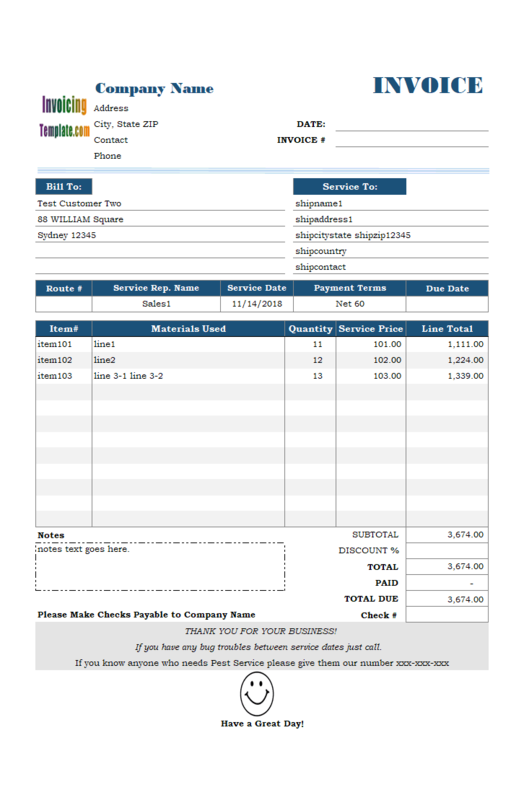 Most samples and tutorials here talks about how to customize the invoicing form. This simple invoice template is a bit different - it details how to add a custom field to Sales Report. 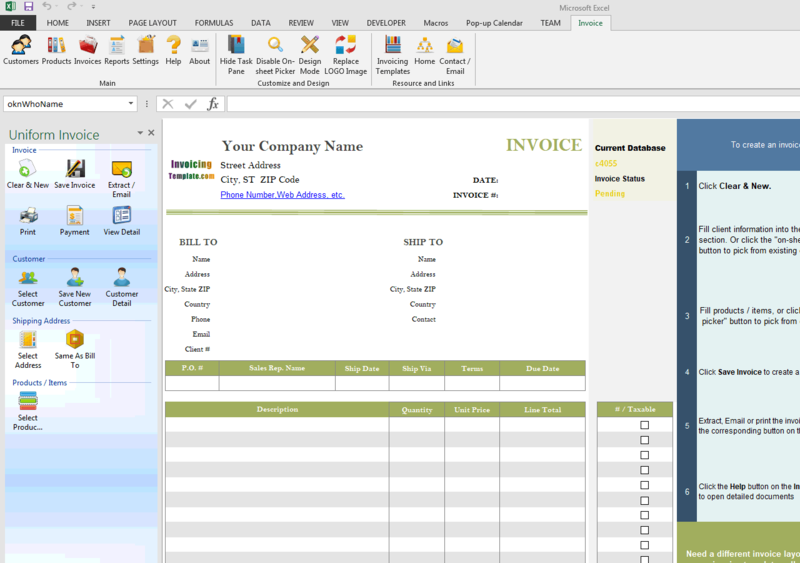 c4055 now includes the customized invoice template for the latest version of Invoice Manager for Excel. 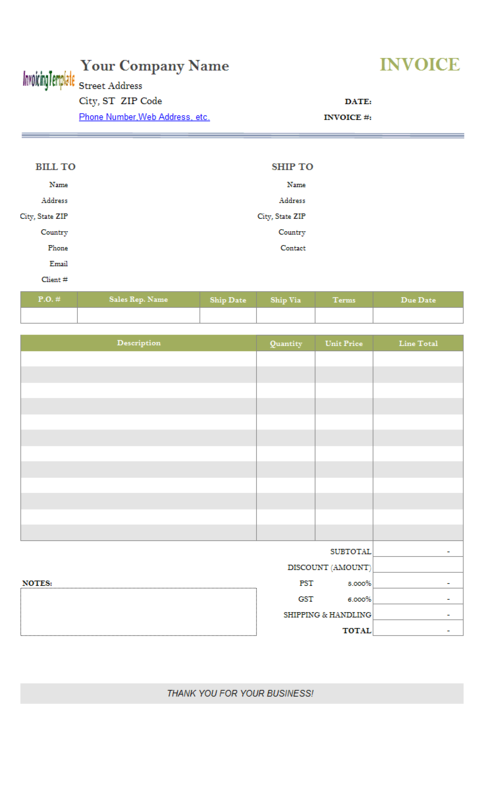 This is what you will see when you open simple-invoice-template-discount-amount-sales-report.xlsx. The template created in c4051 Simple Invoice Template - Discount Amount Field adds a discount amount field to the bottom of the invoice format and creates formulas to apply the discount. However this discount is not clearly shown on reports. The default invoice template shipped with Invoice Manager for Excel, as well as all the simple invoice templates created in this serial of tutorials, have the following reports that are based on the "Invoice Header" database table - Sales Report, Customer Report, Sales Rep. Report. 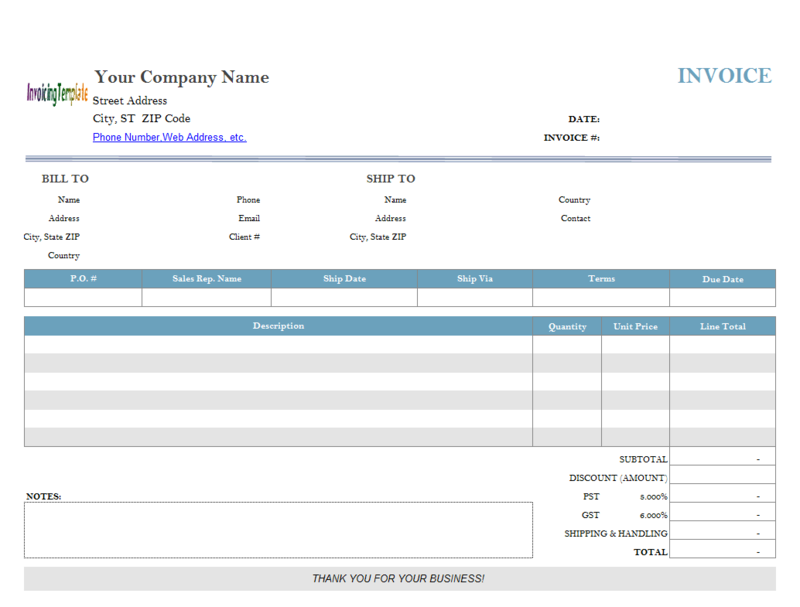 All custom fields defined in the "Invoice Header" database table could be added to these reports. 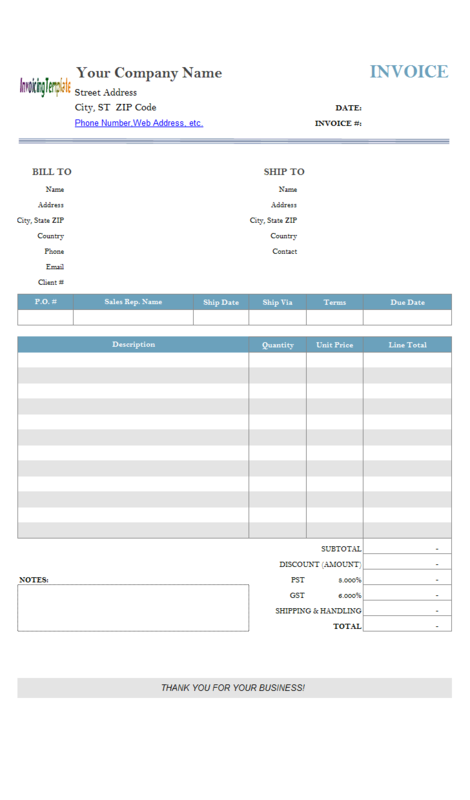 The steps of adding the discount amount field to Sales Report are as follows. 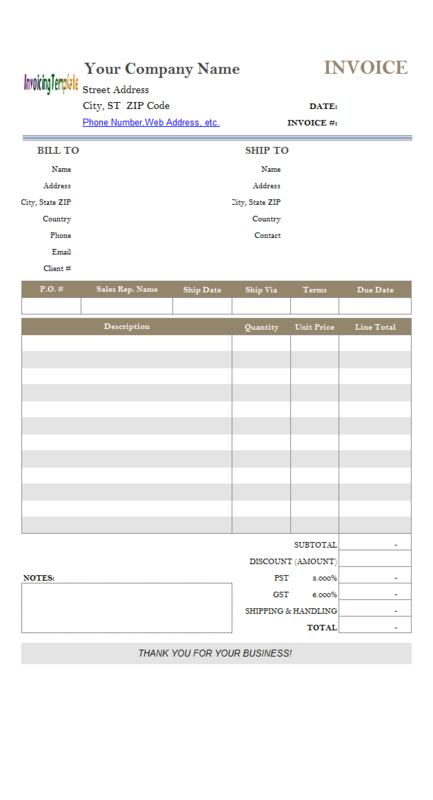 Activate / switch to the "Sales Report" worksheet. Activate / Switch to Excel "View" ribbon tab. Check "Gridlines" and "Headings" in the "Show" ribbon group. Click to select the "Balance Due" report heading cell ($N$11). Click the "Format Painter" button in the "Clipboard" group on Excel "Home" ribbon tab. Click the cell next to "Balance Due" on the same row - in this sample, it is $R$11. This copies the forma the "Balance Due" cell to the new / empty cell. With the new cell still selected, enter text "Discount" into this cell, and then enter the cell name "oknRsDiscountAmount" into the name box on the left-hand of Excel formula bar. This assign the specified name to the cell. In this name, "oknRs" is the prefix of the name, "DiscountAmount" is the database field name. When adding a custom field to the Invoice worksheet, we leant that the mapping between an Excel cell on the Invoicing form and the backend database field is established by names. 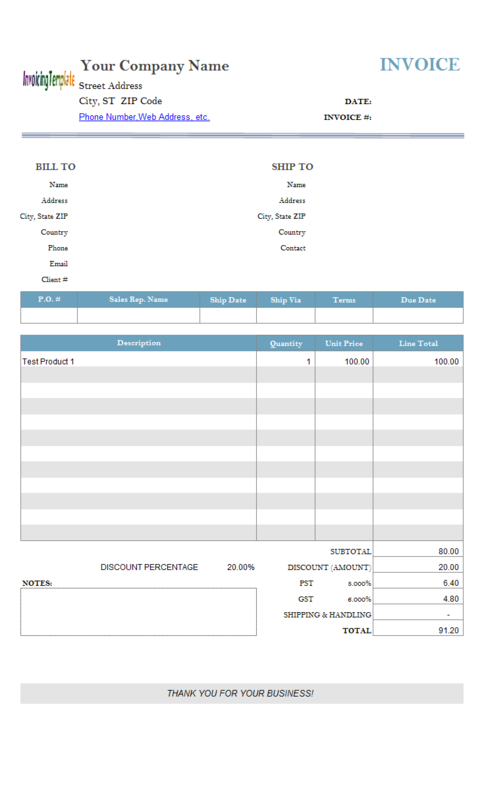 For example, the database field "DiscountAmount" in the "Invoice Header" database table is mapped to the cell name "oknDiscountAmount" on the "Invoice" worksheet. Likewise, a report column is mapped to a database field using names. In this sample, we name the report heading cell "oknRsDiscountAmount", which maps the report column to the database field "DiscountAmount". "oknRs" is the name prefix of the "Sales Report". Each report has its own name prefix, as detailed below. 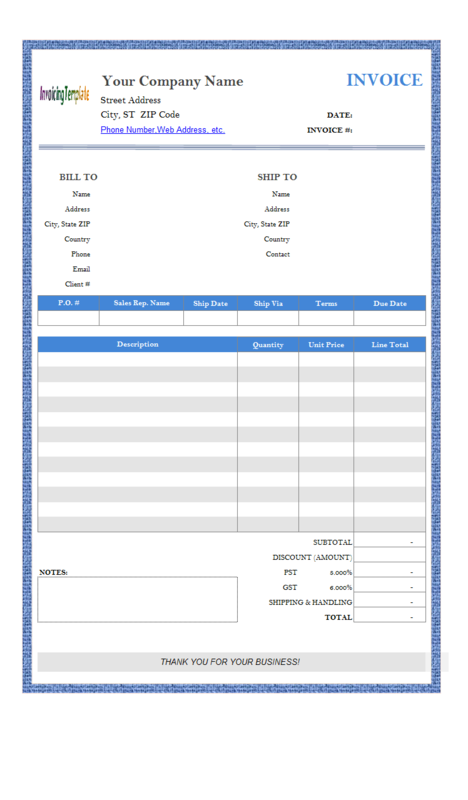 The default Sales Report is designed to be printable on standard A4 paper. Adding the Discount field makes it too wide on the horizontal direction. To make sure it fits into one single page on horizontal direction, we need to hide a column. To do this, click the "Columns" button on the taskpane, and then uncheck the column that you want to hide. In sample, we hide the "Sales Rep." column. You can also adjust the column widths to make the report suitable for the paper size. Once everything is done, go to Excel "View" ribbon tab and uncheck "Gridlines" and "Headings". 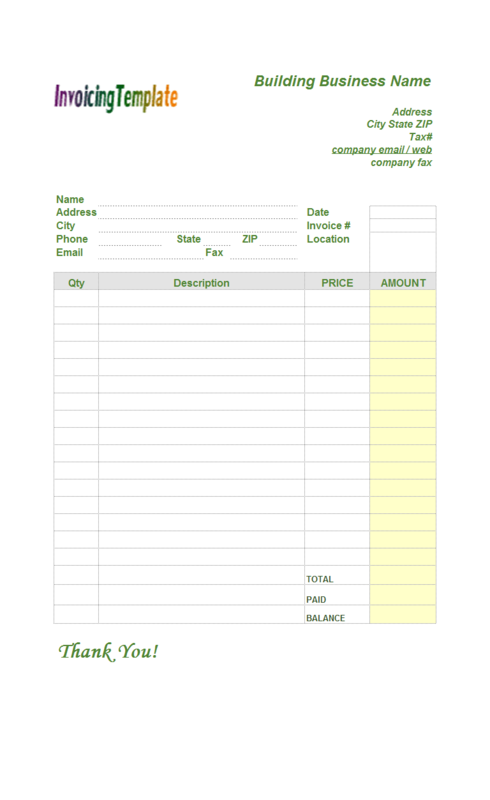 Invoice Manager for Excel provides flexible reporting features that allows you to add new user-defined fields (i.e. custom fields). 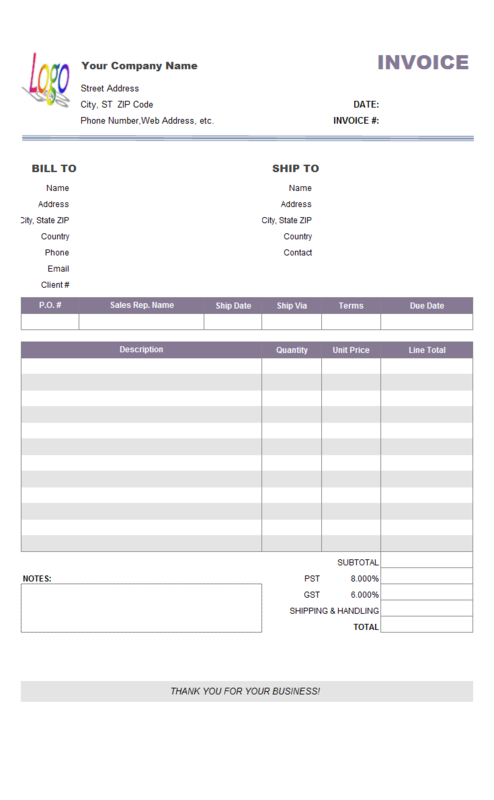 The simple invoice template created in this tutorial provides a detailed sample on how to do this. 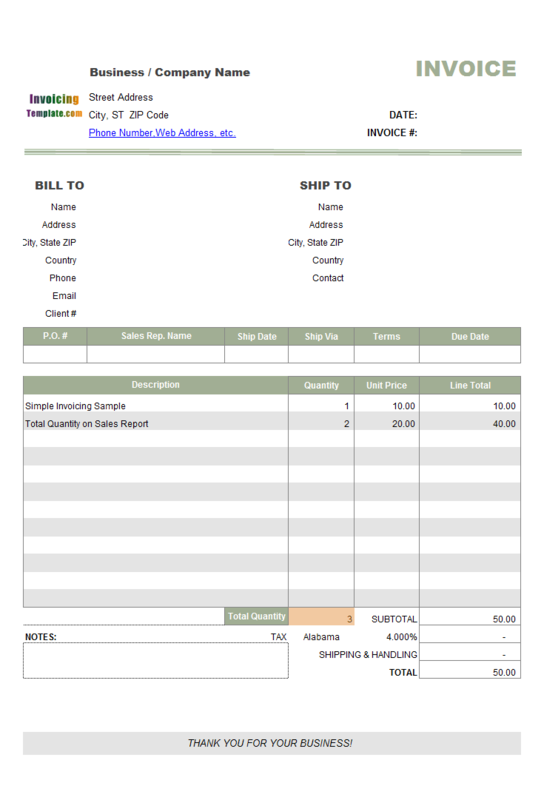 Visit Product Names and Shipping Address on Aging Report for information on how to show invoiced items on the "Aging" report sheet. Like other form designs here on InvoicingTemplate.com, Simple Invoicing Template - Discount Amount on Sales Report is free (offered to you at a price of 0.00USD). It works on Windows XP and all newer versions of Windows, and Excel 2007, 2010, 2013, 2016 or 2019. Changed the number of taxes to one and the default tax name from "GST" to "Sales Tax". See Types of Taxes for more information.